NAUTIQUE TAKES TOP HONORS DURING AWARD CEREMONY AT MIAMI BOAT SHOW! MIAMI, FL (FEBRUARY 17, 2017) – Today during the Miami International Boat show, the National Marine Manufacturers Association (NMMA) hosted an awards ceremony where Nautique was awarded for outstanding performance in two different disciplines: Customer Satisfaction and Marketing Innovation. The NMMA Marine Industry CSI Awards program honors participating manufacturers that actively measure customer satisfaction and pursue continuous improvement to better serve the customer. Nautique achieved and maintained an independently measured standard of excellence score that vastly exceeded the 90 percent requirement in customer satisfaction over the past year, based on information provided by customers purchasing a watersports inboard boat. 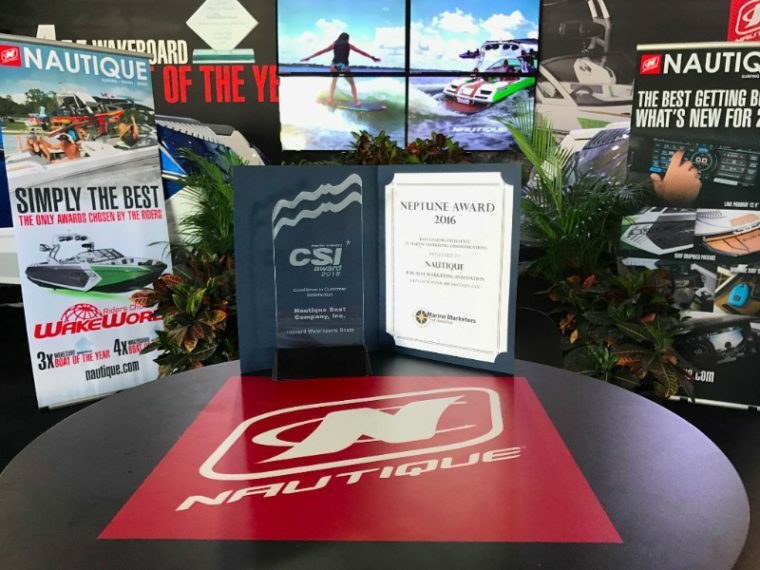 That score proved to be the key indicator of success for the Nautique brand to once again take home our 11th consecutive CSI award for outstanding customer satisfaction. The Marine Marketers of America also honored Nautique this morning during the Neptune Awards portion of the presentation. The Neptune Awards recognizes great achievements in marine marketing throughout the year, and the widely successful launch of the brand-new Super Air Nautique GS20 was chosen as the best Marketing Event of the year. The GS20 launch incorporated a physical event, a live stream, as well as on-water demonstrations and a robust digital media content strategy that reached and impacted each and every type of consumer. Like the Nautique GS20, this launch was bar none the best of the year and Nautique is extremely proud to be recognized by the Marine Marketers of America. 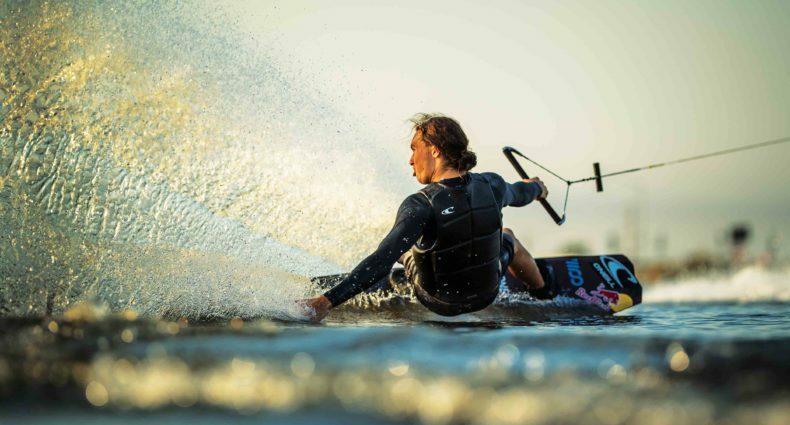 “We continue to lead the way forward with innovation in all aspects of the Nautique experience. We are driven by our team’s determination to build the world’s best boats by a company that cares. The industry continues to acknowledge that; and we are honored to be recognized and awarded for our efforts.” stated Nautique President Greg Meloon. “Customer service and Marketing Innovation are strategic efforts that our team committed to driving forward because our customers deserve it.” Meloon added.